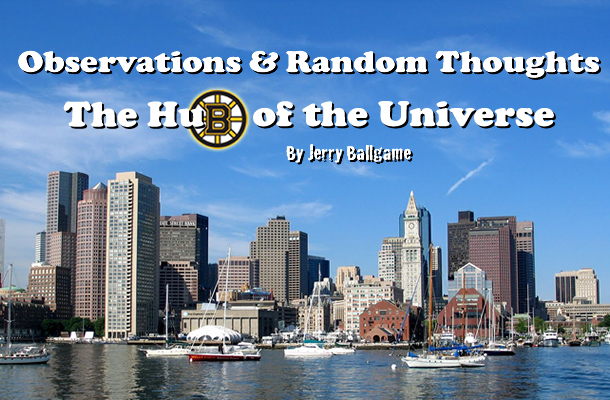 Jerry Ballgame discusses the curse he may be putting on all of his teams, an interesting Celtics rumor and the remergence of Clay Buchholz in Boston. I realize that it’s a bit of a small sample; and with keeping with the title, random, but based on my late week’s writings and the results of those written about, I’m beginning to think this blog is cursed. No, not the ‘Bambino’ type of Dan Shaughnessy fame, but more the John Madden-Sports Illustrated cover kind. You know, when a team or individual is rolling along on some kind of streak, about to do do something special, I give them some attention, say positive things about them, and then ‘POW’, they fall flat on their faces! Last week, to refresh your memories, I wrote about the one-win-away-from-from the championship series Celtics, the best-record-in baseball-over-the past-40-games Red Sox, the-most-consistent-Sox-pitcher Felix Doubront, and Tim Thomas. Before the ink was dry, so to speak, the C’s lost two in a row (badly at that), the Sox lost like 7 out of 10 to fall back into the basement, and Doubront threw a four inning stinker against the Nationals. (Thomas, on the other hand, is not my fault.) I figure I should try a psychic experiment and see if this power is transferable, so from now on I’m going to write something positive or hopeful about a Yankee, and then sit back and watch them fall. As I’m sure you can imagine, talk about what to do with the Celtics “Big Three’ of Pierce, Garnett, and Allen; plus Rondo, was well under way before their charter flight had made it back from Miami. The plans run from blowing the team up and making everyone trade bait, to keeping it intact, adding a body, and drafting well. One of the more intersting rumors I heard reported today involved trading Paul Pierce to his hometown Lakers in exchange for Pau Gasol. I’m not sure how much of a chance that has of happening, but it’s not without a certain amount of logic. 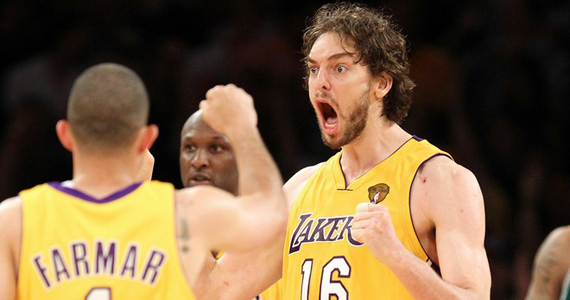 Gasol’s time in LA seems to have run out. The younger Pau (31) makes about $3 million more a year than the 34 year old Paul, thereby giving the Lakers about $10 million in salary to play with once they cut Ron Artest (or whatever he’s calling himself this week), who is making almost $7 million. Money I’m sure they could use to make a significant signing. It would be tough to see Pierce go. He has generally been considered a potential Celtics “lifer”, so to see him in a different uniform, particular a Laker one, would be very strange indeed, and it certainly would give Boston a very different look as well. Although it seems likely that KG will be back for a couple more seasons, Ray Allen is likely gone, with either Chicago or Miami being mentioned as possible landing sites. But a Celtics team of Rondo, Gasol, Garnett, Avery Bradley, Jeff Green (remember him) Brandon Bass, with the development of JaJuan Jonson and E’Twaun Moore, could make for an interesting season. Throw into the mix the two first round draft picks they have (21, and from the Clippers, 22), and “The Garden” could remain an exciting place to be. I’m contractually obligated to add the Miami Heat to list of New York and Los Angeles teams that I must root against. I feel that they play with an attitude that they have not earned yet, and probably never will. I believe the Thunder, who should have stayed in Seattle, are capable of beating them in six. 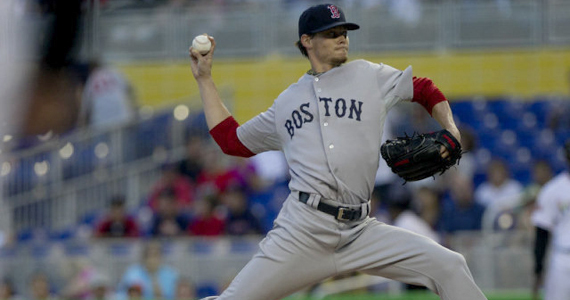 Fortunately for the Red Sox, Clay Buchholz appears to be returning to form, as they remain badly in need of a number one starter. Buchholz has had four strong starts in a row, including a complete game shut out, going 3-0 in that stretch, and improving his record to 7-2. Although his ERA is still above 5, he is decidely on the right track. He apparently escaped ‘the curse’ against Miami when he collided with a baserunner and was not concussed. I have to believe that when Mark Teixeria retires from baseball, he’s going to look back and wish he had signed with the Red Sox. Not this last time when he used them to get more money form the Yankees, but rather back when he was drafted by the Sox right out of high school. With his switch-hitting power, he could have but up some crazy numbers at Fenway Park over the course of an extented career, not to mention an additional championship or two. Not that New York as been a bad fit, just Boston would have been better.